Modern puppeteers use a range of characters and figures to create stories. Children sit down in front of the "stage" and the characters are brought to life by being operated by their strings! It's fascinating to watch how quickly children empathise with the figures and characters - the strings become unimportant as the story develops - and the children directly respond to the story line as if the figures were alive. Your chosen puppeteer will be happy to share all their background details with you, including insurance, CRB information and reviews. Puppeteers will also include jokes, music, games and song sheets in their act - there's plenty to enjoy with a Puppet Show. Find a Puppeteer for hire near you in minutes! Option 1. Enter your event location below & contact a Puppeteer directly! Option 2. Request multiple quotes from available Puppeteers Get Quotes! Option 3. Read information & advice on hiring Puppeteers Read Advice! WANT TO KNOW MORE ABOUT Puppeteers? Read on for the most comprehensive guide to booking a Puppeteer, including how much a Puppeteer costs, exactly what they will do at your event, plus tips, advice and information to help make your event one to remember! Whether it’s a Punch and Judy styled piece of slapstick brilliance, or a puppet show with a modern twist, hiring a Puppeteer is always a sure fire way to entertain! What exactly will a puppeteer do at your event? A puppeteer will enchant everyone from young children to the elderly in the crowd! 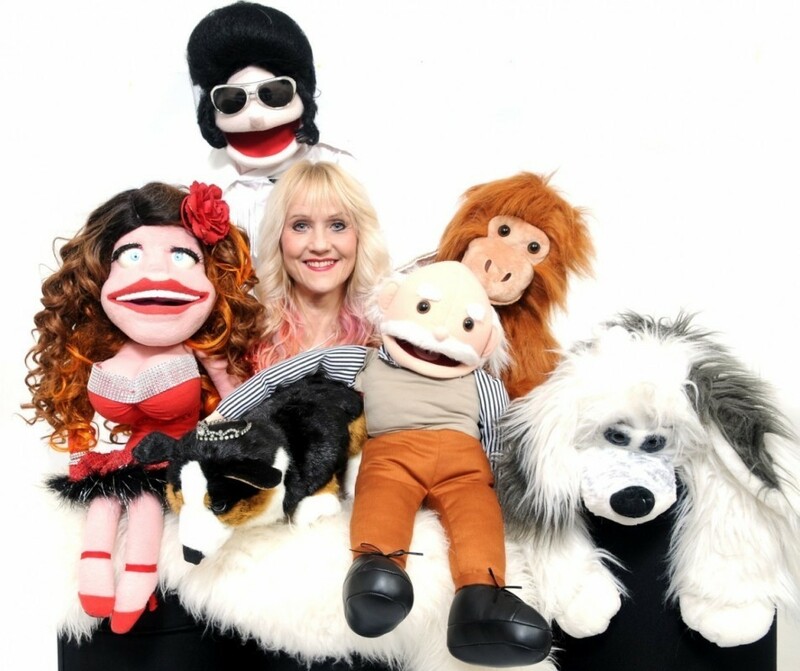 When you book a puppet master, you will be greeted with a a host of different characters, all fun in their own unique way. Everyone will love the storylines as they twist and turn into something intriguing. When you think of a puppet show, you most probably think of Punch and Judy and traditional British seaside entertainment. The world famous puppet show was well known for its anarchic sense of fun and the cheekiness of its characters such as Mr Punch, Judy, The Baby and the Constable. Well, a lot of the modern day Puppeteers take on the same format and put on shows with their own brilliant host of dolls and weird and wonderful creatures! It’s not only Punch and Judy shows though! Puppeteers often perform their own takes of famous fairytales and fables. The puppet show stories on offer may include Little Red Riding Hood, Mother Goose, Humpy Dumpty, Jack and the Beanstalk and many, many more puppet show scripts! 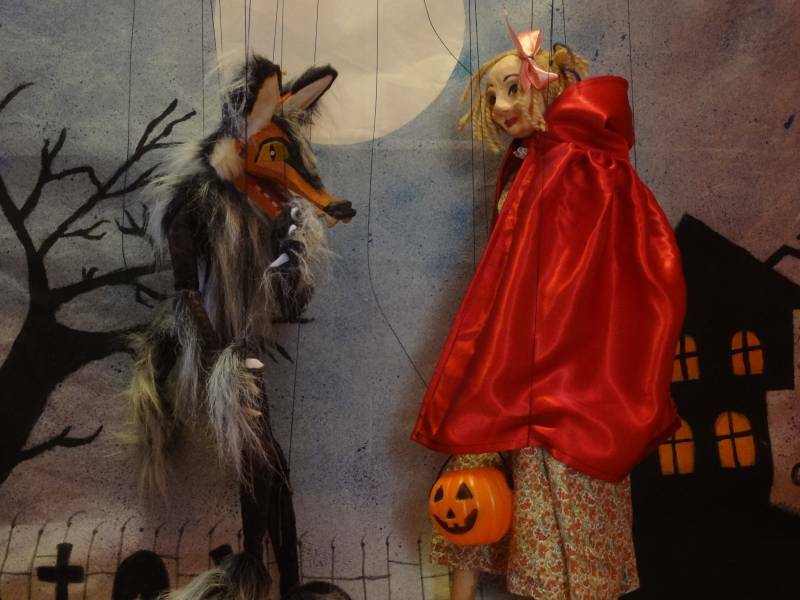 Contemporary, adult based puppet shows are also gaining more popularity and are a beautiful mix of romance and drama. The way in which the Puppeteer motions the stringed puppets is truly an art form to be respected and is a great addition to any event. 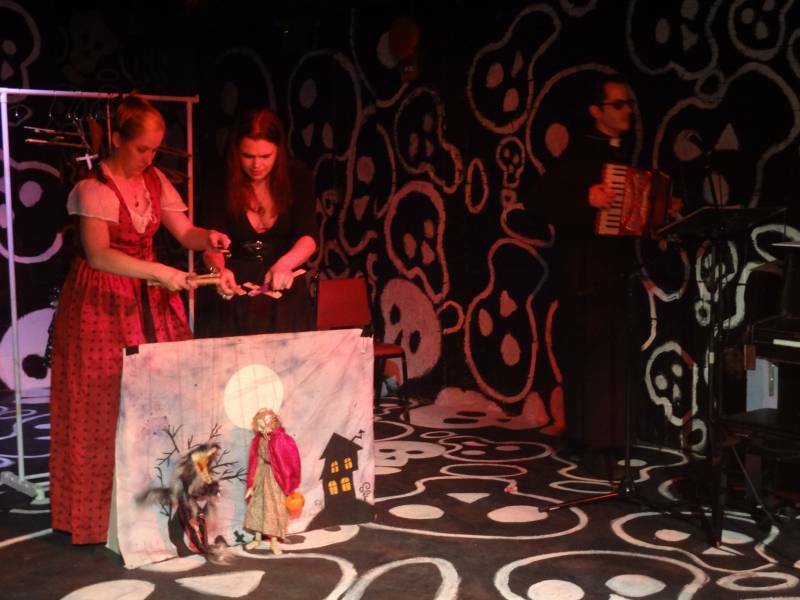 A contemporary puppet show is genuinely a mini theatre performance. These Puppeteers orchestrate ballets and well known Shakespearian productions with a huge talent and after a while, you won’t even know there are strings attached! Mainly, a Puppeteer will entertain your audience with a fantastic live show that will put the wow factor into celebrations and impress your guests, whatever their entertainment tastes may be. What event types are puppeteers hired for? If you are organising a children’s birthday party, then a live puppet show is a thrilling experience for every child! From 0 to 8 years of age in particular, a Puppeteer will make every child at the party smile, laugh, and cheer along! Puppet shows are famous for including the audiences into their unique style of banter and they will ensure nobody is left out! With extra special attention given to the birthday boy or girl, the puppets will play fun and silly games that will really get the children’s imaginations going! A puppet show for a child’s birthday will promise to be silly, wacky, chaotic, morally tinged and it may even get a bit messy! This is exactly what young children love! If you’re looking to hire entertainment for the children at your wedding drinks reception then you may want to hire a Puppeteer! A Puppeteer will have all of the kids in stitches and entranced by brash and audacious puppets who cheekily talk back! Most yarns told will also have a moral message at the end and will leave children and adults alike with a good feeling. A puppet show will be great entertainment for the drinks reception at your wedding whilst the adults are busy socialising and relaxing! Maybe you are thinking of hiring a Puppeteer to entertain the children at your wedding evening reception drinks? The kids will all sit down in one corner and watch on in wonder as the crazy antics of the puppets tell a fascinating story (whilst the adults can sip a glass of champagne!) As mentioned, you can also book a Puppeteer to perform a more adult themed puppet show. Just search through our directory to find a contemporary puppet show and you can have your own little theatre performance as the entertainment at your wedding evening reception! You might want to hire a Puppeteer to perform a traditional puppet show as the entertainment at your corporate event? And we don’t blame you! A puppet show will be something very unique that appeals to both children and, because of the nostalgia it holds, it will also appeal to adults and the elderly. Maybe your company are throwing a bash for their yearly Christmas party? Or it could be that you are celebrating the end of the financial year? Whatever the event is, a Puppeteer will bring the laughs with a pre-music, or pre-comedian puppet show! Are you looking for entertainment for your product launch? A puppet show will definitely delight your customers! A Puppeteer is great at revving up the crowds, building an atmosphere and creating a gathering in a public space. Maybe your product is aimed at a youth-based target audience? A Puppeteer can incorporate your product within the show and cause hysterics along the way! How much do puppeteers cost to hire? Our simple to use entertainment directory allows you to firstly search for the best Puppeteers who are local (or travel to your area) and then via the contact form you may message them directly to enquire for a no obligation quote to perform at your event. Some acts will also add a rough price guide to their profile for your convenience. What are the usual set formats and performance lengths for puppeteers? A Puppeteer can tailor their performance to times to suit you and your event, however, on average a professional Puppeteer will perform for two 30 minute sets. How much space will a puppeteer need at your event? A live, traditional and stationary puppet show will need a square of about 3ft x 3ft to set up their puppet show stage (curtain and mini stage) So, not that much room at all! If you have booked a contemporary adult puppet show, then they may need more room to motion the puppets. You can find out exactly how much space is needed by messaging the Puppeteers via our personal messaging service. What equipment and set up requirements do puppeteers need? As with most artists signs up on Entertainersworldwide.com, a Puppeteer will provide most of their own equipment. This will include the puppets, props and performance box. You may want to enquire if an artist needs a PA to amplify their sound, in which case we would advise to use our easy to use messaging service to find out. We do ask that each performer gets a backstage area in which they can prepare for the performance ahead. If your venue does not have a backstage area, then we kindly ask that you enquire with the venue to seek an alternative space in which the performer can comfortably get ready to entertain. How can I find and book a puppeteer NEAR ME? WANT TO RECEIVE A RANGE OF QUOTES FROM Puppeteers?